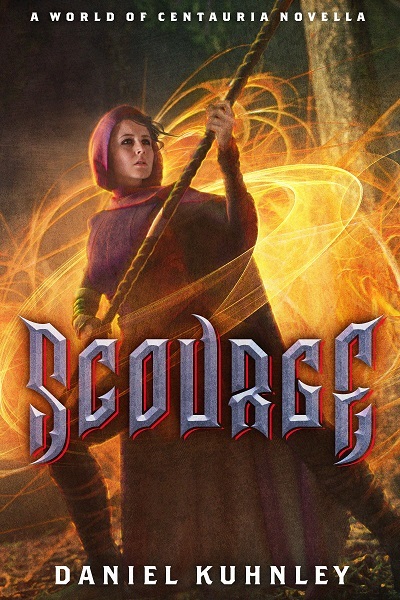 Today, I’m revealing the cover for Scourge, my new fantasy novella. You’ll also get the latest information about what I’m currently working on and my latest reads! Scourge will be available for FREE next week. Watch for the email about it. To save her son she must destroy a civilization. To defeat Magus’s ominous plot, Emorith must betray him and trust a friend with her young son. However, her smooth talking and determination may not be enough to prevent an apocalypse. Scourge takes place in the World of Centauria 1200 years prior to the events in The Dark Heart Chronicles epic fantasy series. If you like thrilling adventures and heroic characters, then you’ll love Daniel Kuhnley’s dark and creative novella. I’d love to know what you think of the new cover. Share your comments with me on Facebook or Twitter or reply to this email. As you can see from the news above, I’m working hard to meet my goals for 2019: releasing 4 novels and 2 novellas. With the releases of The Braille Killer and Birth Of A Killer earlier this year, Scourge marks the third release. So, that means I’ve finished the novellas, but I still have 3 novels left to complete and release. I’ve still got a tall mountain to climb, but I’m dedicated to accomplishing this goal. The last novel I’ll be working on is the sequel to The Braille Killer. I won’t reveal any more about it right now other than it has to do with time. You can encourage me and help me reach my goal by leaving reviews of my books on Amazon, Goodreads, and BookBub! Reviews don’t need to be a novel, just a sentence or two is perfect. All reviews make a huge difference for me and help drive sales. More sales means that I get to keep writing stories for you! I met R.J. last year at a writing conference and we’ve become friends through social media. His book, Fire Eyes Awakened, is what I’d call a mishmash of urban fantasy, epic fantasy, and dystopian. From the first chapter, you’re thrown into action and chaos. 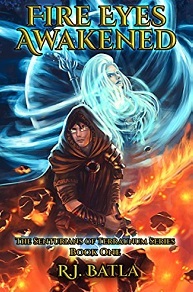 R.J. has a quirky writing style that grew on me as I read the book, and his story and unique magic system kept me turning the pages. His sense of humor comes right out of the pages as well. Check out my review of Fire Eyes Awakened on Amazon. Receive two FREE novellas when you subscribe to R.J. Batla’s newsletter! Find out more about R.J. Batla on his website. Twice, I’ve had the pleasure of talking with Tosca Lee and her husband, Bryan. They are both such great people and Tosca is one of my favorite authors of thrillers and historical fiction. The Line Between, her newest dystopian thriller, is an exceptional story. Each chapter toggles between the past and present, following a girl named Wynter whose family joins a religious cult to escape from her abusive father. I found it a little disorienting at first because I didn’t know what was happening. Once I realized how the chapters worked, I found myself engaged and enthralled in Wynter’s story. 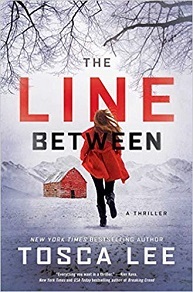 You can check out my review of The Line Between on Amazon. Find out more about Tosca Lee on her website.